Yesterday I got a letter in the mail from a college friend and excitedly tweeted about it. Gia Manry of Anime Vice, hit with sudden inspiration, responded and suggested an anime/mangablogosphere postcard exchange. Playing with the idea a bit, I suggested a manga trade, which might or might not be the best/easiest idea. Still, a letter/postcard exchange with other bloggers sounds like loads of fun to me. 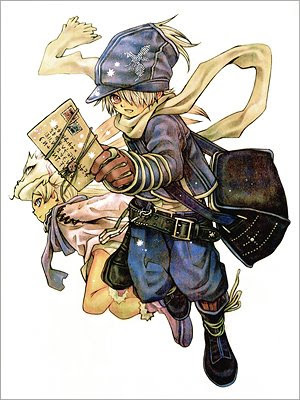 If you have an anime or manga-based blog, e-mail me at dorihuelagruber@gmail.com with your address, any random/crazy manga requests you might like to see fulfilled and maybe a blogger you’d most like to be put in contact with. Participants will be asked to write and send their letters and, if they receive something from their wishlist, blog about what they have received during the month of April. Obviously, if anyone has any concerns about their address getting out or creepy stalkers and whatnot, they are free to contact me with any questions they might have. I will not be sharing addresses with anyone other than the person picked out to write to you, but I understand if anyone has any sort of trepidations about participating. If you want to write to more than one person, let me know! I can’t wait to start some letter-writing! That’s a really cool idea! And while I don’t typically receive any snail mail other than Netflix DVDs, I can’t think of any one specific blogger I’d want to talk to that I don’t already talk to in some capacity (never mind any sort of “wish list”)…. So I’ll just say…good luck with the project! Well, most of these people are already talking online, the appeal is more the whole getting of snail mail. Also, no one’s really given me a wishlist of who or what they might want, so don’t worry about that! Oh, well in that case…. I’ll send my address on in. It does sound fun. I was just sort of like “Well, I can’t think of one specific person….” So I had decided against it. Oh no. None’s requested a specific person AT ALL. Lol. Oh well.